Any guesses as to who has arrived home? Yep, that would be me:) I've slowly been returning to the world of humidity and internet connection and oh-my-it's-my-senior-year-of-highschool. 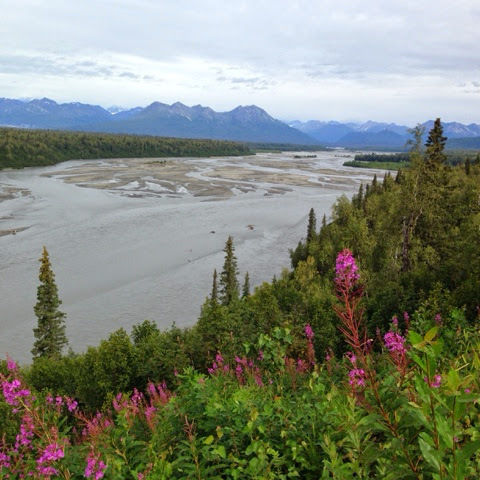 For now, however, I'm back here to share more of our Alaskan adventure. 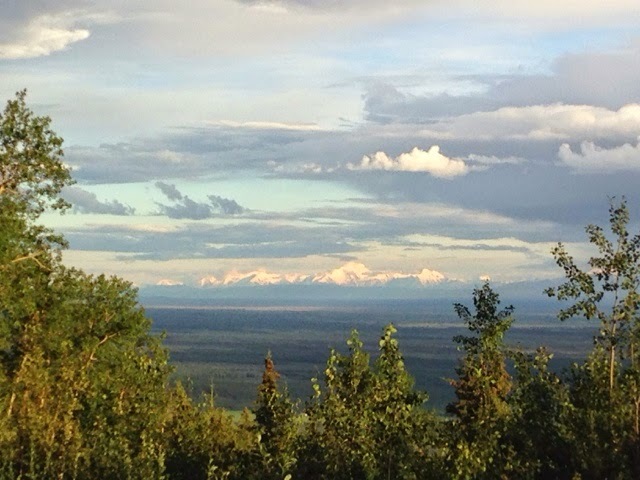 . .
Denali National Park loomed on the horizon miles before it officially began. We first admired it at an especially picturesque turn off of the main road. Once we finally reached the it's border, we learned that cars are only allowed a few miles into the wild. 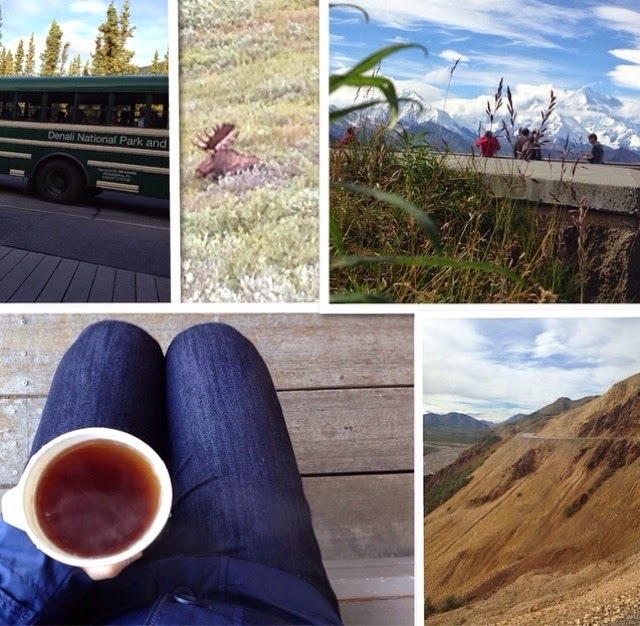 Specially designated bus rides, however, were available for deeper treks. The promise of wildlife sightings and singular landscape made us agree to an eight-hour roundtrip excursion. I sipped tea and we slipped out of civilization. 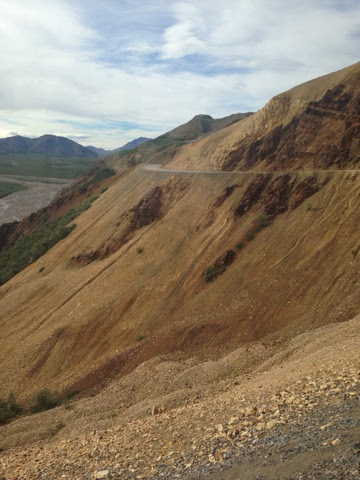 There were times we feared we would slip off of the road too! All the while a certain keen woman kept us looking out the windows with calls like, "BEAR. . . MOOSE. . . SOMETHING! 3 O'CLOCK!" Thankfully the excitement didn't get to our bus driver who kept the wheels carefully connected to the gravel. We even enjoyed an unusually clear day. 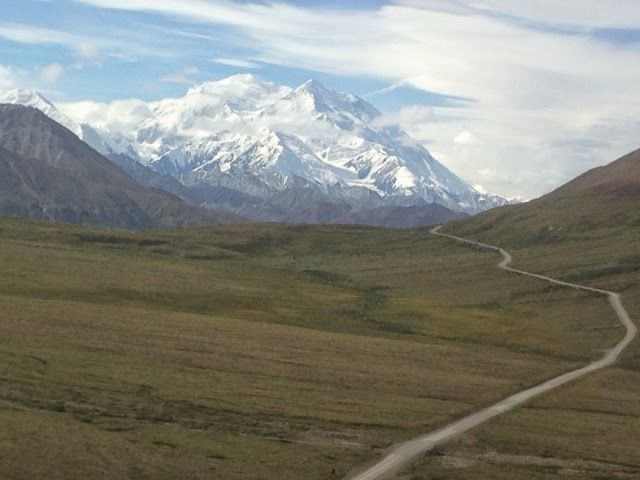 This view of Mount McKinley (or simply "Denali") stunned us. It looked like fairytale material with snowy peaks and wispy clouds. I believe it was this moment that made me appreciate the gravel road. 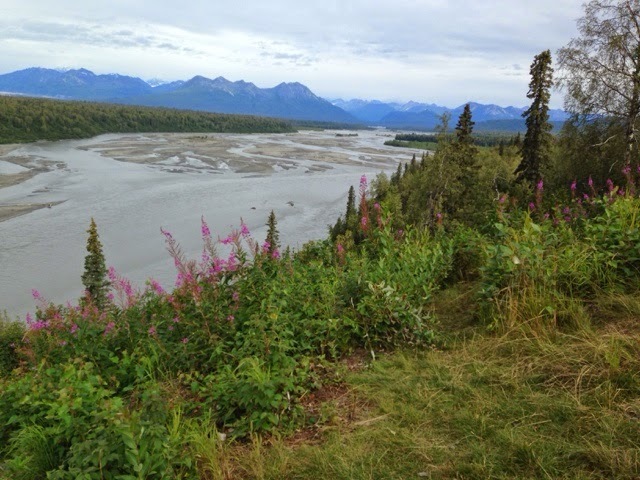 I'm still a bit enamored with Denali. I'm also stuck on the reality of a fjord. More on that soon. . . I loved these posts. We are just starting to plan such a trip for 2015, so it cheered me to see your photos and hear a positive report. So glad you all had a good time! Also, congratulations on completing your first lace shawl (even though that's a different post). I've crocheted shawls but not knitted one so far. Your skill has advanced by leaps and bounds, and the project is very beautiful.